I really never tire of shooting this subject. 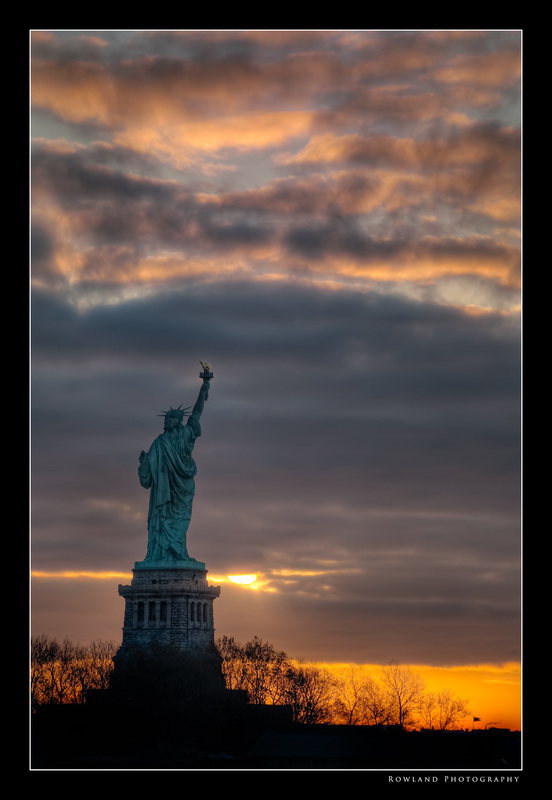 The Statue of Liberty is as impressive now to me as the first time I saw her… probably over 30 years ago. This gift from the French never disappoints, and on this morning, the sun and statue danced together for a solid 1/2 hour. I shot over 200 images while the sun broke the horizon line and started to illuminate the statue and lower Manhattan to her left. Standing there shooting this scene, I can’t help but think of the millions that passed by her on their way to a foreign land, full of promise… gave me goosebumps putting my imagination in their shoes. Yesterday was a busy day running around Manhattan. Started in Central Park, and spent the rest of the day wandering South. Headed to Canal Street and Chinatown, Ladder 6 Firehouse, then off to the Brooklyn Bridge for sunset… and we got quite a show. 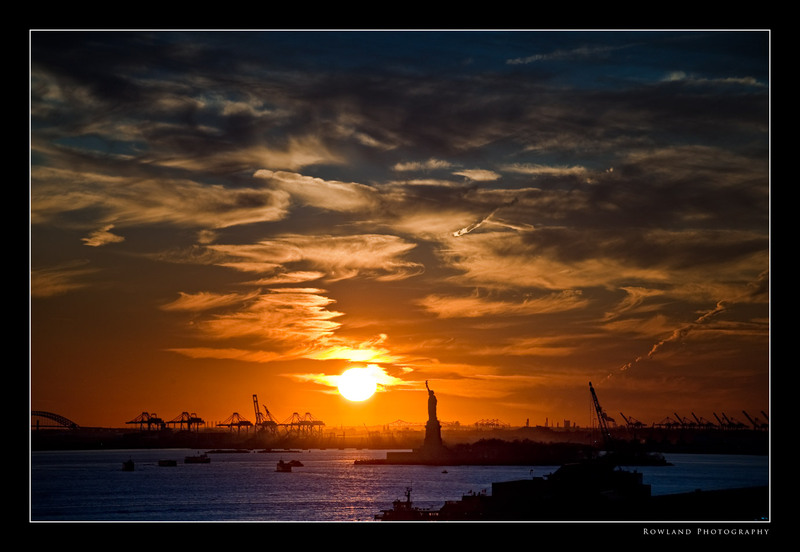 The sun blazed its way across NY Harbor, and Lady Liberty, surrounded by the waterway and all those cargo derricks were lit up and all aglow… was an amazing thing to watch and capture. Hope everyone had a great 4th of July. I missed a terrific photo opp last night to capture some fireworks being shot off in the neighborhood… but I didn’t want to leave Tristan to go set up the gear.. so we soaked in the colorful bursts with a few “ooohss and ahhhs” and then hit the hay. This shot was taken on an Adorama photowalk with Joe Dimaggio in Lower Manhattan. It’s interesting to try and capture a place that is so well known. I’ve blogged about this before on some of the Brooklyn Bridge photos. You really do have to force yourself to think differently, and figure out what angle or perspective an icon hasn’t been shot from (or at least… not often). So I knew I wanted to get some of the base in the photo, with a 3/4 profile of the Statue. Walked around for awhile until I came to this spot, and snapped.